Echaintool brand inserts are supported by us directly. 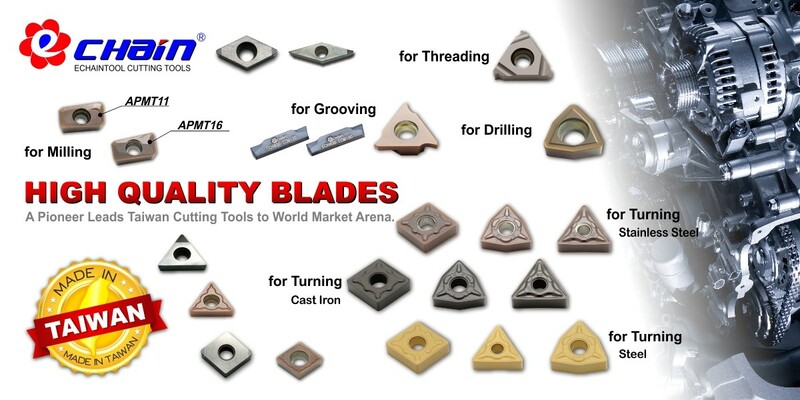 Popular inserts for turning, milling, drilling, grooving, parting-off and threading are available in stock. Applied for different work piece, including Steel, Stainless steel, cast iron, Alloy and hard cutting. With different coated can meet Finishing, Light, Medium, Rough and Heavy cutting terms. 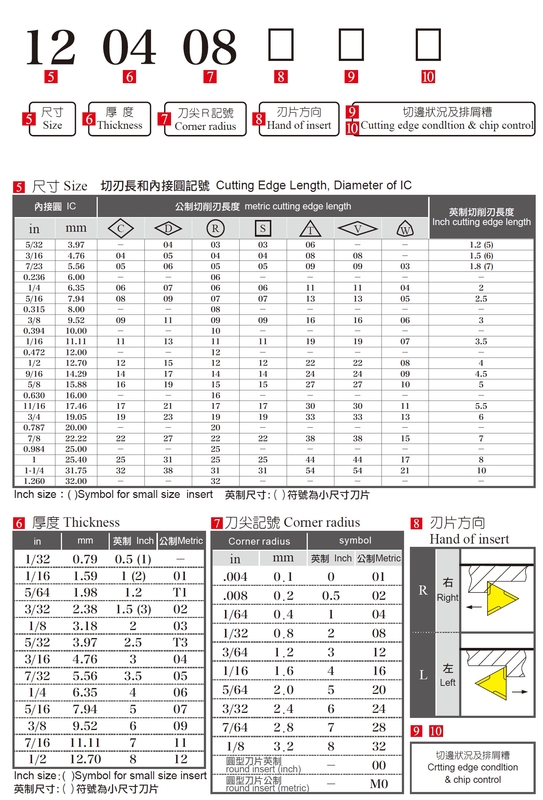 With different insert shape, Relief angle, tolerance, insert hole type, cutting edge length, Diameter of IC, thickness, corner radius, chipbreaker and material of work pieces, the inserts are different. To meet different cutting terms, and material of work piece, we offered different coated inserts and cermet inserts. These inserts offered by Echaintool are 100% quality inspected before shipped. Here are our most popular insert grade as our first recommed with in bold Font. 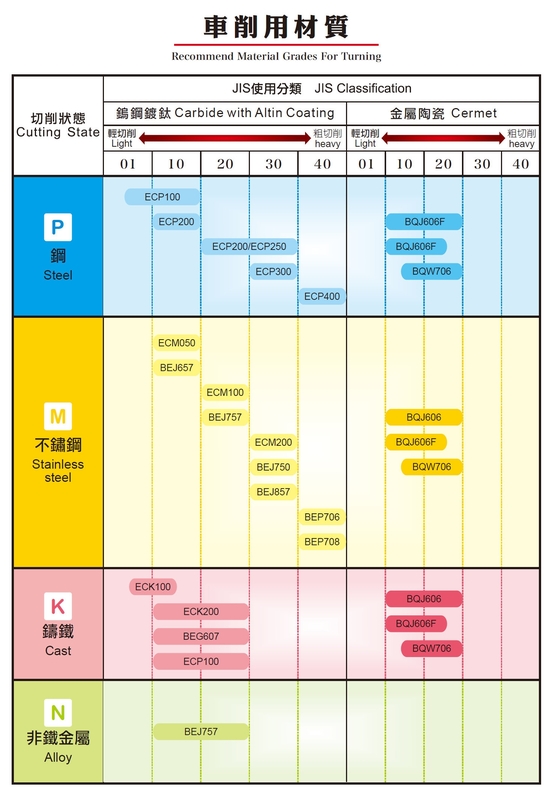 Steel: ECP100,ECP200, ECP250, ECP300, ECP400 . Stainless Steel: ECM050, BEJ657, ECM100, BEJ757, ECM200, BEJ750, BEJ857, BEP706, BEP708. Cast iron: ECK100, ECK200, BEG607, ECP100. Alloy, cermet: BQJ606F, BQJ606, BQW706. 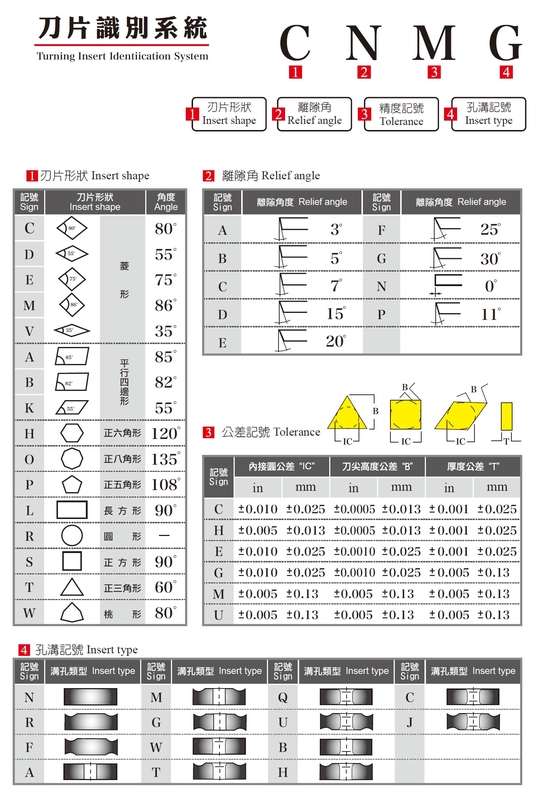 Aboout the Grade Comparison chart, Recommend Material Grade, and Selection of chipbreaker, please visit next page, Reference or send us your inquiry. Thank you.